The thirteenth round of consultations were held in Auckland from the 12-18 June. Parallel meetings were held by the Working Groups on Trade in Goods and Trade in Services including their respective Sub-Working Groups, as well as the Working Groups on Investment, Economic and Technical Cooperation, Intellectual Property, Competition, e-Commerce, and Legal and Institutional Issues. Expert consultations on Trade Remedies and Government Procurement continued. On Tuesday 14 June a ‘stakeholder’ event was held which enabled public registration and attendance. The details were organised very late, which made it difficult for people to assess whether it was worthwhile attending. This session provided a space for very short presentations by registered stakeholders to the chief negotiators of the RCEP countries. There were representatives from virtually all the negotiating countries. First, the TNC Chair from Indonesia spoke. Then New Zealand chief negotiator Mark Trainor spoke,signalling ambitions for RCEP as a ‘stepping stone’ to the Trans Pacific Partnership towards APEC’s vision of ‘a free trade area of the Asia Pacific’. The Philippines chief negotiator and Singapore chief negotiator then made brief presentations on their ambitions in RCEP. Stakeholder attendees were then given 2 minutes each to highlight their main concerns and interests to the chief negotiators, which was strictly held to time. Civil society went first and included representatives from TPP free Wellington, Barry Coates from ‘It’s our future’, Professor Jane Kelsey University of Auckland, Sanya Reid Smith Third World Network, Shailly Gutpa Médecins Sans Frontières, Belinda Townsend Public Health Association of Australia, and Carmen Chan New Zealand Medical Students Association. Business groups followed; including NZ Dairy, Dairy Australia, Export Council of Australia and Food and Beverage Association, Australia industry group, Asia trade centre, and the India/New Zealand Business Council. Civil society pointed out their frustration with such a short time frame to present their views andanalysis and made key points on the investment and intellectual property chapters among others. Business groups went next and many echoed support for ISDS and the negotiations in general. Several remarked on the uncertainty around the TPPA, presumably to emphasise the importance of the RCEP negotiations. There was then a short overview of services and trade. The NZ services lead spoke, followed by two representatives of NZ private education services and another opportunity for stakeholders to make 2-minute comments. 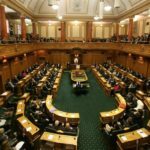 Live streamed Q&A with NZ trade Minister and chief negotiator. however, that may have been directed as NZ consultations rather than RCEP. The NZ Chief negotiator Mark Trainor gave a brief summary of where the negotiators were at. Six sub working groups were meeting in New Zealand, including discussions on rules of origin and sanitary/phytosanitary, with more than 500 delegates. All countries have submitted offers for trade in goods and services, and there are initial reservation lists for investment. Trade access negotiations continue and investment liberalisation has commenced with a negative list structure. NZ Trade Minister Todd McClay was also answering questions with Mr Trainor. Stakeholder attendees were then given 1 minute to present their views and ask questions of the New Zealand Chief negotiator and NZ Minister for Trade. Again, civil society groups expressed their frustration with the brief amount of time for engagement. 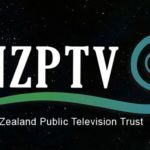 Questions asked included whether the NZ government would make the negotiating text available and seek public support, as well as more technical detail regarding the text, whether NZ would go beyond TRIPS on IP and the status of the protection for Maori. The NZ hosts agreed to circulate documents to delegations. 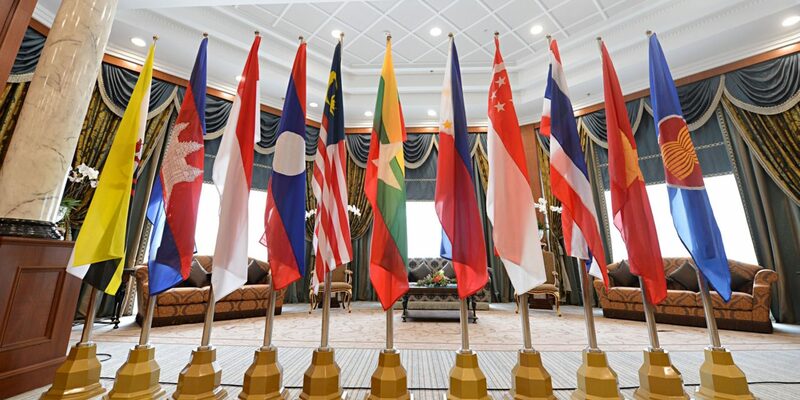 The industry stakeholders had an additional session the next day at the request of the RCEP negotiators to identify the non-tariff barriers they wanted removed. There were objections to this special treatment. Professor Kelsey and Sanya Reid Smith (TWN) organised and funded a lunchtime panel on intellectual property and health and invited IP negotiators to attend. Panel participants included Shailly Gupta Médecins Sans Frontières, Sanya Reid Smith Third World Network, Belinda Townsend Public Health Association of Australia, and George Laking Doctors for Healthy Trade New Zealand. This was a fantastic opportunity for civil society to present our concerns regarding access to medicines to the IP negotiators (those that attended). Invitations were distributed to the IP group by the chair of that group, which was facilitated by the NZ RCEP organisers and the NZ IP lead. 22 negotiators came. Packs were made containing various publications and material for the negotiators, including those who didn’t attend. Business groups (possibly Internet NZ) apparently held a similar lunch the day before for IP negotiators, organised at the last minute, and the impression was that the business groups had not been very attuned to their audience. On the Friday night a public forum on RCEP was held at a church nearby the negotiations linking the TPPA and RCEP (TPPA + RCEP = Double Trouble). Presenters included prominent Malaysian economist Dr Jomo Sundaram who had co-authored a study critiquing the economic modelling for TPPA, Jane Kelsey, Sanya Reid Smith, Dr Joshua Freeman from Drs for Health Trade, Moana Maniapoto a Maori musician, chaired by Barry Coates from Itsourfuture. A similar lunch was organised on the Saturday for the investment negotiators. Auckland law professor Amokura Kawharu presented on lessons from the TPPA text and Jane Kelsey linked innovations in Brazil and South Arica to issues in the RCEP investment negotiations. Sadly this was not well attended because ASEAN had a caucus at the same time. It may also not have been as strongly supported by the chair of the group. As with the IP lunch, those who attended were very positive. 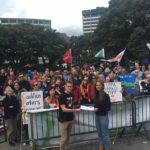 Several media pieces came out in NZ during the negotiations. Notably, conservative journalists were also highly critical of the lack of engagement offered to stakeholders.